Oct. 4-7, 11-14, 18-21 & 25-28 from 2-7pm. Not-so-frightful animals, pumpkins galore and a wondrous village to explore – the Indianapolis Zoo has even more fantastic ways to celebrate Halloween during ZooBoo presented by Central Indiana Honda Dealers! Now beginning its 37th year, this beloved fall event has sixteen days for visitors to enjoy the Spooktacular festivities. Be sure to experience Pumpkin Town presented by Macy’s. 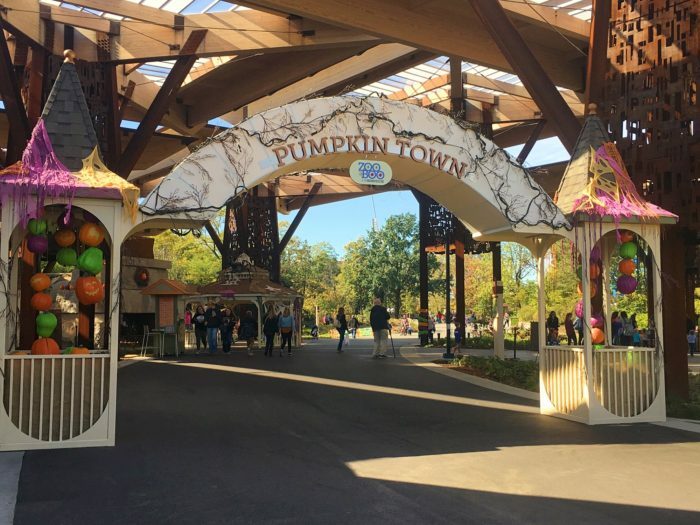 Under the cover of the Bicentennial Pavilion awaits a whimsical village where little witches and goblins can discover fun all around. There’s nothing to fear, only fun, including up-close encounters with not-so-scary animals. Inside the Candy Corn Factory, the mirror maze hides thrills and smiles around every corner. The Witch of Pumpkin Town offers potions to transform tasty treats. Guests can also stop in at a crafty Pumpkin School presented by Whole Foods Market and try a few rolls of Pumpkin Bowling. The little ones are encouraged to dress up in their favorite costumes and bring a re-usable goodie bag to collect a few goodies along the Trick-or-Treat Trail presented by Peyton Manning Children’s Hospital at St. Vincent! Plan your trip at IndianapolisZoo.com.